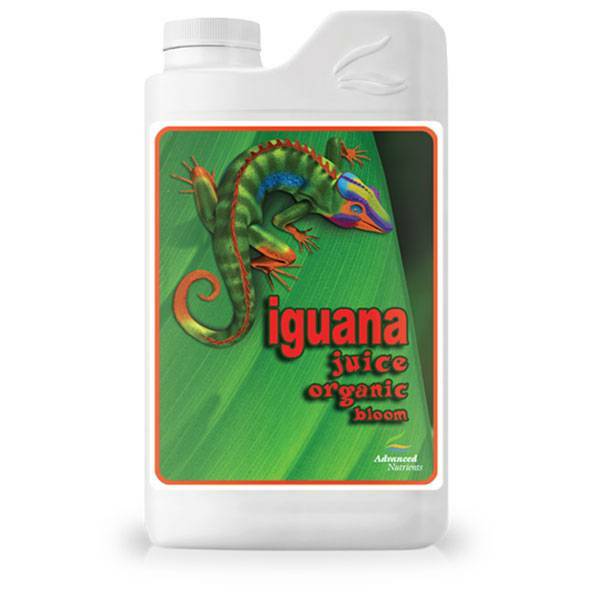 Iguana Juice contains nutrient-rich fish base from pristine ice cold North Pacific waters, plus more than 70 minerals, krill extract, yucca extract, earthworm castings, seabird guano, bat guano, and alfalfa extract. When using Iguana you will notice a flavor and smell in your crops that you have never before experienced. This product was specifically designed to maximize growth through the use of only organic ingredients. NUMBER ONE: Iguana is 100% organic and uses only premium quality and sourced ingredients… including… the most potent, effective, and powerful micronutrients available today. In fact, all the ingredients in Iguana Juice are quadruple clean-processed utilizing so they’re deodorized and disinfected. Because of this, your garden smells great and stays safe! It’s the same with the immaculate kelp meal extracts used in Iguana Juice. Your plants get more concentrated kelp nutrition than they ever could before. What’s more: Advanced Nutrients uses several different blends of volcanic ash from many different parts of the world (because of differing nutrient profiles) to source only the most powerful, effective and nutritious micronutrients possible for use in this formula. In short, every ingredient in Iguana Juice is premium sourced, deodorized, and clean-processed so you get only the freshest, purest and most potent organic formula available. NUMBER TWO: Iguana Juice is a liquid, 1-Part fertilizer formula that has been quadruple filtered using a heated pressurized system. NUMBER THREE: Because Iguana Juice doesn’t smell like sewage and it mixes fully without creating “sludge” in your filters and growing systems, it doesn’t create the same environment that other organic formulas create. NUMBER FOUR: Because Iguana Juice is a 1-Part liquid formula, it’s extremely easy to mix and use. So if you’re looking for a simpler, more effective organic fertilizer formula-this is it! Here’s how simple it is: Iguana Grow is a 1-Part complete organic nutrient for use in your grow phase. And Iguana Bloom is a 1-Part complete organic nutrient for use in your bloom phase. They contain exactly what your plants need in each specific phase to set you up for maximum yields and the most delicious harvests ever. 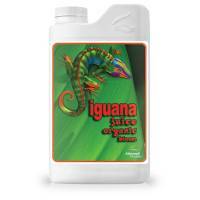 NUMBER FIVE: Iguana Juice was developed specifically for the types of plants you grow to give them… exactly… down to the cellular level… what they need for vigorous growth and big bloom phases. It contains only the most premium, pure, and effective nutrients and micronutrients your plants need like fish extract, guano, earthworm castings, yucca, krill, alfalfa, volcanic ash and other exclusively-sourced, premium-quality, 100% organic ingredients that spur plant metabolism, budding sites, floral development, and enhanced taste and aroma.